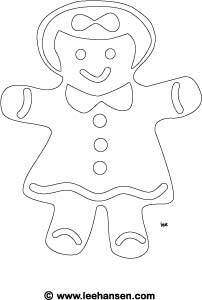 A sweet girl gingerbread cookie coloring page. Print this cute gingerbread cookie pattern on brown card stock to use as a holiday decoration pattern or trace around the outside to cut out jumbo cookies from felt or dough. 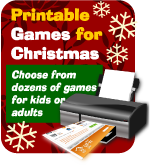 Click image or link to print a gingerbread cookie coloring page in Adobe PDF format.